It's ultimately your choice to get pushed by the fear or bounce over the fear. 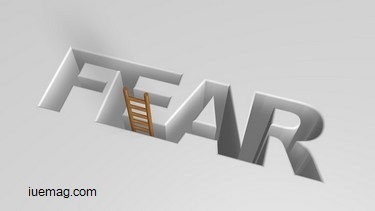 Fear is the natural response hardwired into the human brain which should help is dangerous situations but the big question is - Why do we fear things? Why do we fear the unknown? And, what happens to us that we lose all the sense of thinking and end up in a situation of guilt or/and unwillingness? These are few of the questions we face, but little do we know that all our fear and happiness are controlled by us. We are in control of the emotions and feelings that we have. Still, most of the times we end up in wrong decision making and end up barking at the wrong tree. We choose to be afraid, we choose to be unhappy, we choose to be surprised, but each time, we chose. This is where the deception of fear comes in place and this is where we need to make to make a choice- a choice that will alter our mind. I’ve heard a famous line from a movie that says “Danger is real, but Fear is a choice”. This line is very true. We live in a place where we need to be competitive and always on our toes and this is where we develop the deception of fear: fear of what is going to happen, fear of what should have happened. But little do we think of what happens, if we decide to face the fear. This statement has been the revolution of mankind, where humans who were afraid of the sky have gone beyond the earth and to out in space and touched the moon, where fear was the real motivation. This was done just because they were afraid and decided to go beyond that and glow. If fear is darkness then beyond that is light. But one question remains; how much of fear is needed for us to go beyond boundaries and how much of fear is needed to stay within them? I’ll leave that question to you. Hemanth Rao Bhongale is a contributing writer at Inspiration Unlimited eMagazine.